Winter, Spring, Summer, or Fall… here in Black Mountain, we have it all! Come escape to the mountains! 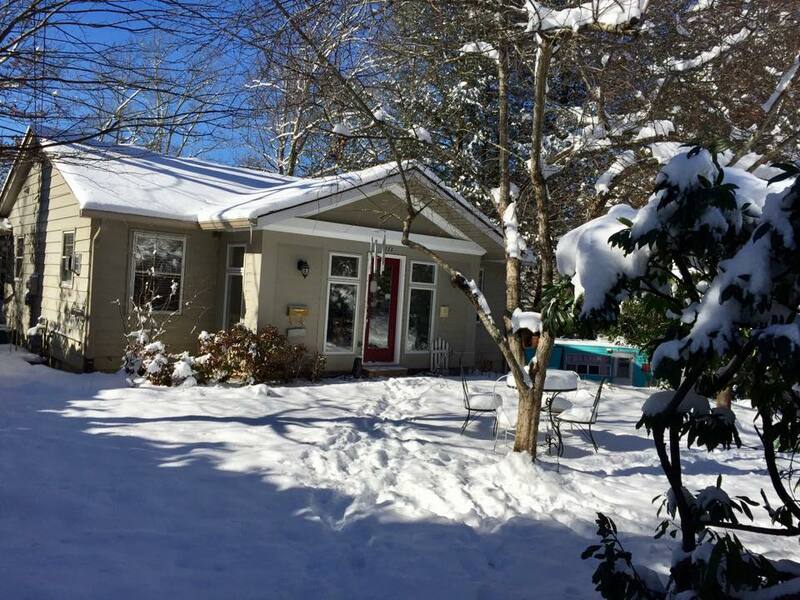 A nicely furnished, CLEAN 2 bedroom, 1 bath cozy guest house with CHARMING gas fireplace for function and ambiance…awaits your visit. Beautiful warm wood floors through out, fresh paint, pet and smoke free. Off road, one level parking for your ease. Just 213 steps away from LOVELY Lake Tomahawk walking path, tennis courts, swimming pool and nature galore! Also in walking distance to historic downtown Black Mountain.